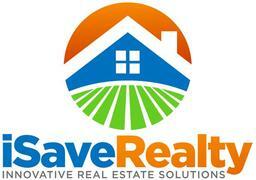 Buy With iSave Realty, and Get HALF my Commission at Closing! We sign a Buyer’s Agency Agreement with you stating that we will rebate you HALF of our commission at closing (typically we get around 3% of the sales price). As an example, on a $300,000 purchase you would get back $4,500! Not bad, right? If your property costs more, then you will get more back. Buyer Rebates are legal in SC of course. Almost all builders factor-in a 3% Realtor’s commission into their sales price, and will not give you any type of discount or credit back because you don’t have a Realtor. So why not let us represent you, and get your 1/3 of the sales price rebate back? As an example, on a $300,000 purchase you would get back $4,500. Use it to pay for movers, build a fence or whatever you want! How do I get in to see houses? We have partner agents that will show you properties in many areas. Call Randy for details at 843-737-6347. Choose option #3 New Client to check your area or for more info. Wouldn’t I be better off doing this on my own, and save the Buyer Agent’s commission to get a better price? Not necessarily. Most Listing agents sign a Listing Agreement Contract with the seller stating if the Buyer has no agent, THEY Get Both the Buyer agent AND Listing agent’s commission, So you save nothing, and miss-out on the rebate! Contact Randy now at info@iSaveRealty.com for details! All rebates must be shown on the Closing Statements and paid at closing. Check with your lender for their policy on rebates.